Minuteman offers a simple, yet attractive fireplace screen for your fireplace. 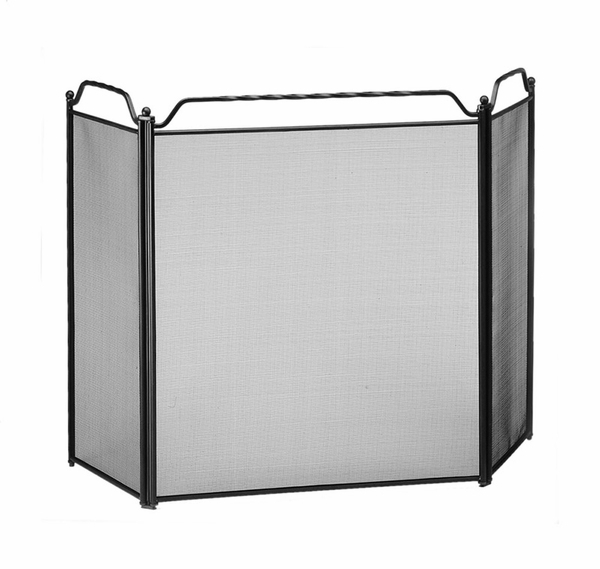 This screen is equipped with piano hinged panels to provide extra support for the screen and also provides great protection from sparks or stray embers. Weighing a mere 12 pounds makes this contemporary black screen easy to transport and clean. The center panel is 26 inches wide and 31 inches high, and the side panels are also 31 inches high and 12 1/2 inches wide. This fireplace screen fit perfect with our decor. It arrived timely and seems well built. Very happy with our purchase!